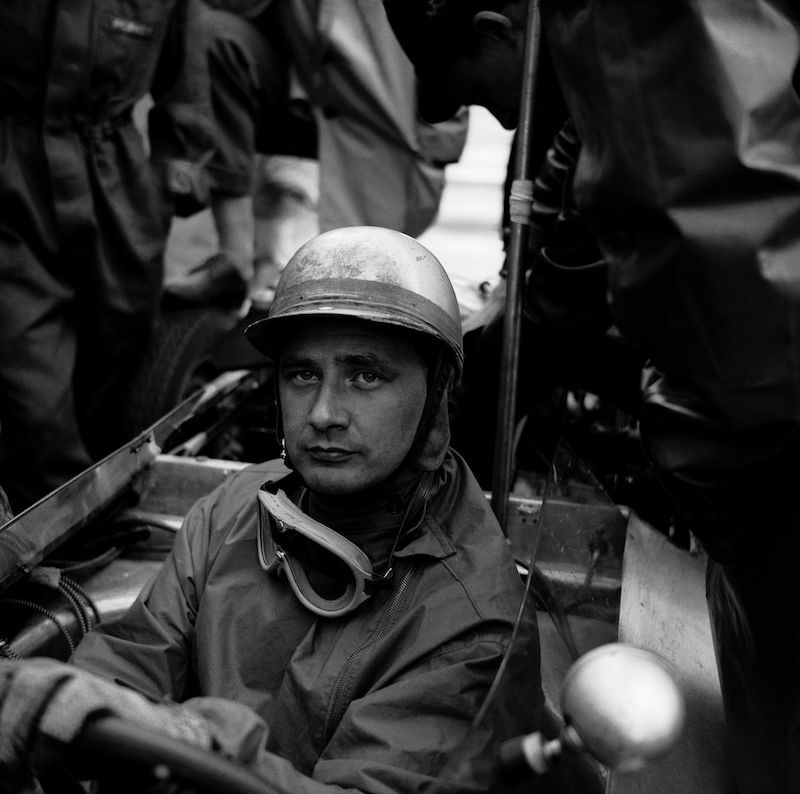 Legendary racing driver Hans Herrmann celebrates his 85th birthday on 23 February 2013. Born in Stuttgart, Germany, the endurance and Monoposto specialist is regarded as one of the most reliable and consistent race drivers of all time. In the course of his motor sport career, Hans Herrmann won more than 80 overall and best of class victories. 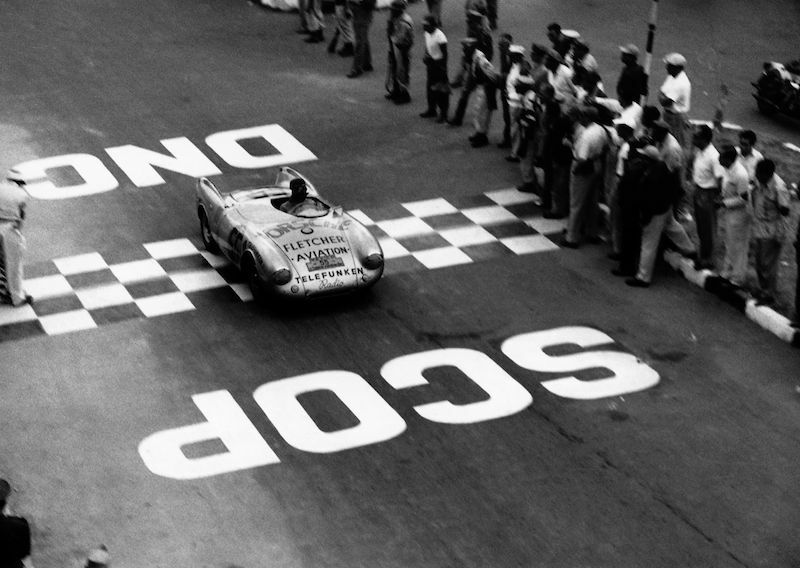 The proverbial “Hans im Glück” (Hans in Luck) at the wheel celebrated his greatest successes with sports cars from Porsche: in the Mille Miglia, the Targa Florio, the Carrera Panamericana and of course in Le Mans, with the first overall victory for Porsche in 1970, driving a 917. 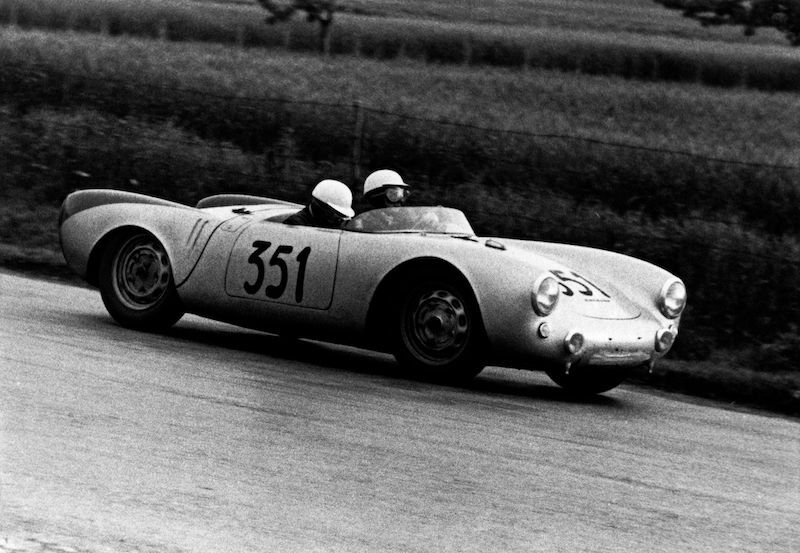 His career began appropriately: in 1952, in a private Porsche 356, he took part in hill climbs, rallies and reliability runs. 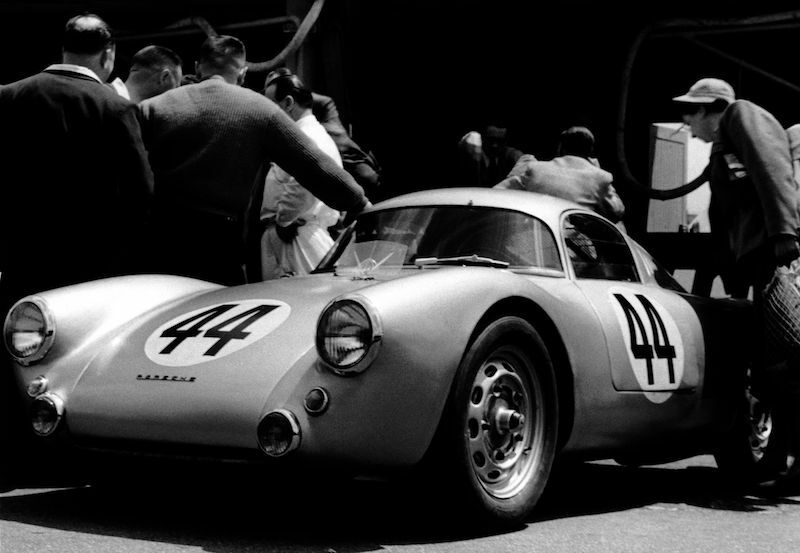 The very next year, he came fifth in the Lyon-Charbonnières Rally, together with Richard von Frankenberg in a Porsche 356. Thereupon Porsche’s racing manager at that time, Huschke von Hanstein, brought him into Porsche works team. 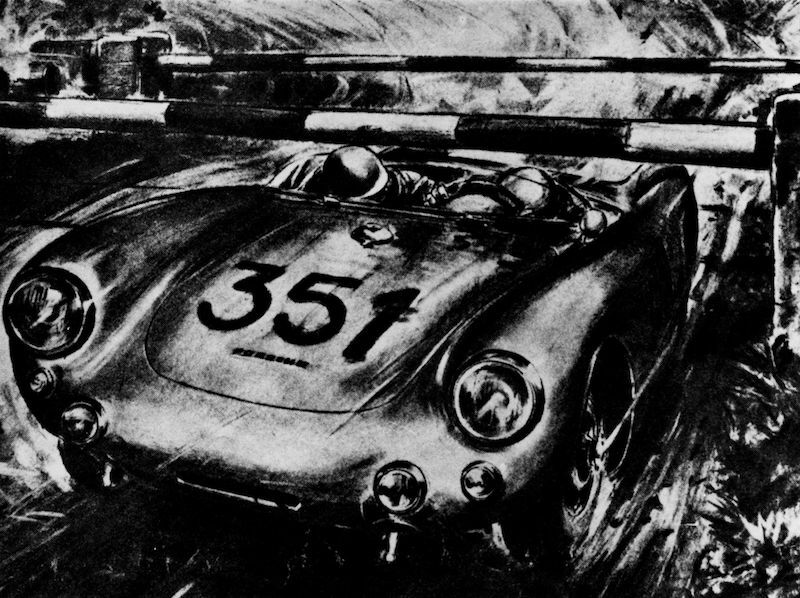 In 1953, Herrmann went to the start for the first time in the 24 Hours of Le Mans where, together with co-pilot Helm Glöckler in a Porsche 550 Coupé, he gained a best of class victory in the category up to 1.5 liters capacity at his very first try. After Herrmann had also secured the title of German Sports Car Champion in the same year, he attracted the attention of Mercedes-Benz head of racing Alfred Neubauer, who integrated the 26-year-old into his works team along with Juan Manuel Fangio, Stirling Moss and Karl Kling. 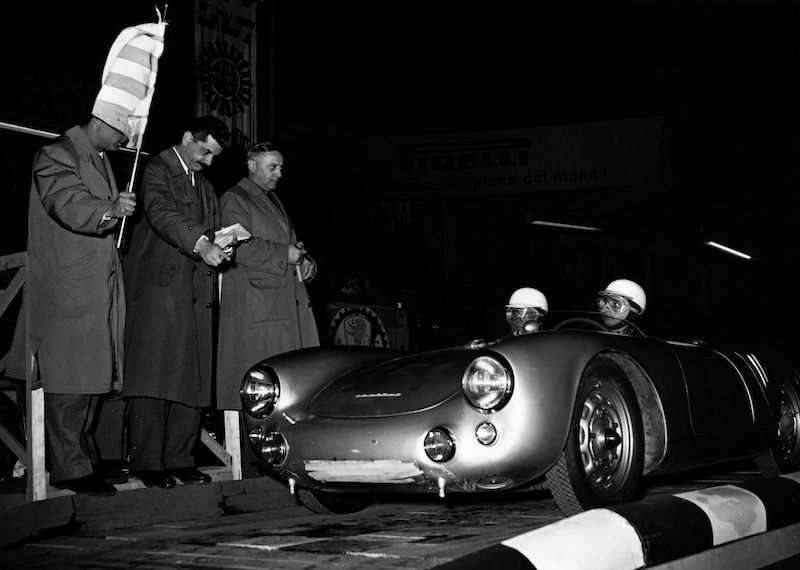 Parallel to this, in 1954 Herrmann continued to start for Porsche and gained prestigious class victories in the 550 Spyder in the Mille Miglia and the Carrera Panamericana. Never to be forgotten is the spectacular incident that occurred during the Mille Miglia in 1954, when Herrmann and his co-pilot Herbert Linge ducked flat under the barriers to cross the rails at a closed level crossing, right in the path of a rapidly approaching train. Later, Herrmann made a photo of the spectacular moment the subject of a letter card, with the inscription “Glück muss man haben” (“You’ve got to be lucky”). In conversation, he completed this definition in a much more serious undertone: “Glück hat, wer als Rennfahrer überlebt.” (“Luck, for a racing driver, is to survive”). Great photos of a great era of racing. Observe the windshield on this Mercedes, looks to have NO slant! reminiscent of the 1929 SSK. How much faster would it have been, had it had a 120degree slant?